ANNA SALLEH: I recently had the pleasure of connecting with a University of Malaya student of SBJ's, Dr Dawn Morais now in Honolulu, Hawaii. Apparently it is actually a re-connection since she remembers me hanging round the Experimental Theatre in the 1970s as a child! Abah always spoke very highly of Dawn - turns out the feelings are mutual. Dawn subsequently dedicated a whole chapter on SBJ's contribution to Malaysian literature in her PhD thesis - which we hope to see come out in book form some time before too long. 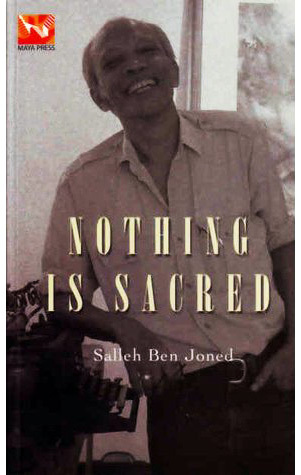 DAWN MORAIS: I just listened to a recent recording of Salleh Ben Joned reading from two of his poems. 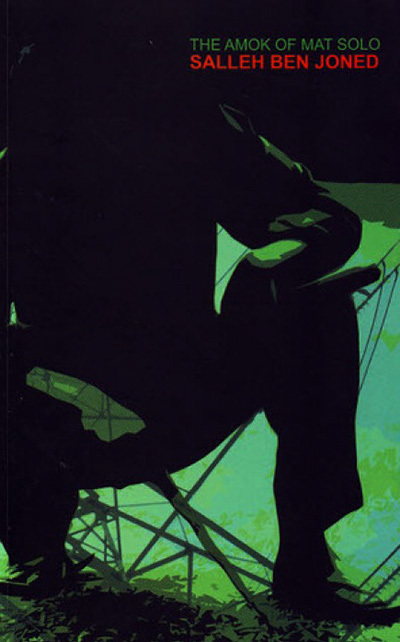 Hearing that familiar voice, the same boyish chuckle, the sly irreverence, was like traveling in a time machine. I was back on the campus of the University of Malaya as an undergraduate, listening to Salleh teach us, by example, how to break the rules! It says something about Salleh’s gifts as a teacher, that despite being a fairly conventional Catholic student who took few risks, if any, I found lessons for a lifetime in the things he said and did – some of which have become the stuff of urban legend. Except the legends are (mostly) true! To this day, I cannot read the poetry and prose that came out of his self-confessed “stinking big mouth” without both laughing and agreeing. Nearly four decades after I first entered his classroom as an undergraduate, and worked behind the scenes with him as he directed our student production of Brecht’s “A Man’s a Man,” I remain deeply grateful that Malaysia has been blessed with a voice - a Malay voice - that speaks for who we can be as Malaysians. It is an earthy, devil-may-care voice that no amount of censorship can ever silence because too many Malaysians have heard it, and responded to it, and own it as theirs to treasure and share. Sajak-sajak Salleh give us hope that we are better than our pemimpin tell us we are. 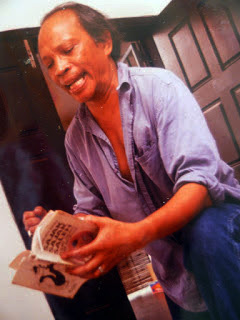 His defiant poems and essays mock the idea that we are not supposed to use the “akal yang di beri oleh Tuhan” (God-given intelligence) for anything other than “cari makan” (making a living). Next to the mind-numbing processed cheese of the “Malaysia Truly Asia” tourism campaigns, he gives us a rich spread of pungent introspection and salty observation. 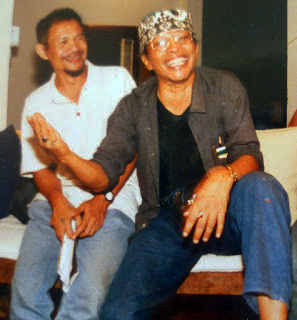 He is a gift and a guide who goes off the officially approved track to give all who want to know and understand the Malaysia that lies beneath the shame-covers and the faux piety of our so-called leaders - a glimpse of what we once were, and could be again. Yes, we were a “kebudayaan rojak’ - with all its tangy complications. 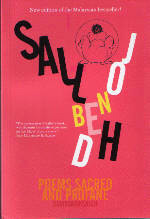 Salleh Ben Joned’s work is a key that helps unlock the cells of ethnic isolation that politicians keep trying to trap us in. He is the antidote to the tedium of what passes for making a living. He challenges us to get beyond “menjilat jari” (finger licking) as we eat “Ayam Kentucky” and drown in the mindlessness of TV. He points to the spice we could all put back into our lives if we stop accepting what is handed to us; if we allow ourselves to think, and breathe and walk into each other’s homes without fear of tainting ourselves with the touch of our neighbors and the aroma of their kitchens, and what’s cooking in their pots. It smells good, and tastes even better. We would be a better country and a better people if we would only, once again, allow ourselves to sit down and eat with our neighbors as we once did. Salleh writes to make us remember. Because forgetting is fatal. Thanks for this stirring reminiscence, Dawn. No greater reward for any dedicated teacher than a brilliant student like you! What a kind and generous comment, Antares. My daughter, Sheela Jane just completed her PhD journey at the University of Texas at Austin and starts this semester as an Assistant Professor at Dickinson College, Carlisle, Pennsylvania. Salleh visited PA at one time, I know. And I just found a copy of the playbook from the production of "A Man's a Man" by Bertolt Brecht that Salleh directed for us when I was an undergraduate and active in LIDRA(the Literary and Dramatic Association.) Will post that pix or send to Anna for posting. Brought back many good memories. I meant to add that Sheela Jane also drew from Salleh's work for her studies in Ethnic and Third World Literature. ...And I'm now in the process of citing some of Cikgu's essays for a talk I'm giving at the Singapore Literature Festival in New York at the end of September! 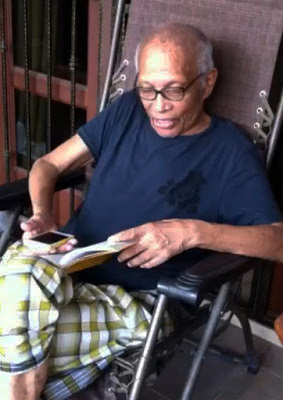 Grateful to have his work as a vital source for my research on Malaysian literature and culture, and grateful for my Mum's many stories about him as a teacher, writer, and mentor.